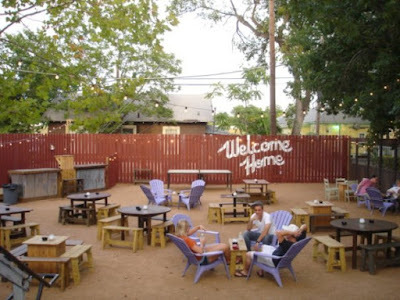 The Lustre Pearl Bar is currently my favorite place to hang with friends on summer nights. We discovered it on one of our pub crawl bike rides and fell in love with its charm. It's an old house that's been converted into a bar and has a huge front and backyard filled with tables, chairs, ping pong tables, hula hoops, and a taco truck. Perfection.